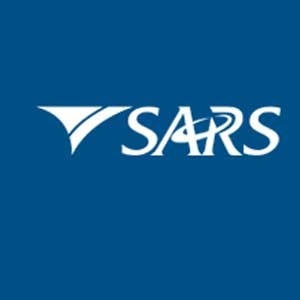 Cape Town – Four former officials at SARS caught up in a row over allegations of a spy unit have distanced themselves from another ”leaked” KPMG report. In a statement released on Saturday they said none of them were given a chance to make representations on allegations against them supposedly contained in the new report. The statement was from former SA Revenue Services deputy commissioner Ivan Pillay, strategic planning group risk executive Peter Richer, Richer’s assistant Yolisa Pikie and SARS spokesperson Adrian Lackay, who said without right of reply that the content of the report is of no consequence. The report, dated December 4, 2015, according to media reports and inquiries, contained allegations that relate to their tenure at SARS. KPMG was ostensibly instructed by SARS not to engage any of them in the course of their investigation, which they say raises questions about its legality. It apparently also has a disclaimer which renders it unusable to resolve a dispute, nor can it be disclosed to a third party. ”It was claimed that the report would be of a forensic nature. Such a disclaimer contradicts the notion of any forensic findings,” the statement said. They said they were denied access to KPMG’s documents in 2015 and a Promotion of Access to Information Act request to KPMG was also declined. KPMG said they were forbidden from engaging with them by SARS, which they find untenable in law. They would again ask the Minister of Finance, previous SARS commissioner Pravin Gordhan, and the SARS commissioner Tom Moyane to investigate “persistent leaks to the media”. The allegations surfaced in the Sunday Times in 2014 and claims included that President Jacob Zuma’s house in Forest Town was spied on. The Press Ombudsman ruled the articles misleading and unfair and ordered the Sunday Times to retract all the stories and to publicly apologise, in writing, to the three men they had implicated. The Ombudsman Johan Retief said the newspaper had not made it clear that the first report was only a draft. The newspaper apologised for not giving Gordhan a chance to comment. It was also ordered to apologise to another senior SARS official Johann van Loggerenburg, mentioned in the same series of stories.